Astronomy is one of the oldest sciences. Prehistoric cultures left behind astronomical artifacts such as the Egyptian monuments, Nubian monuments and Stonehenge, and early civilizations such as the Babylonians, Greeks, Chinese, Indians, Iranians and Maya performed methodical observations of the night sky. However, the invention of the telescope was required before astronomy was able to develop into a modern science. Historically, astronomy has included disciplines as diverse as astrometry, celestial navigation, observational astronomy, the making of calendars, and astrology, but professional astronomy is nowadays often considered to be synonymous with astrophysics. During the 20th century, the field of professional astronomy split into observational and theoretical branches. Observational astronomy is focused on acquiring data from observations of celestial objects, which is then analyzed using basic principles of physics. 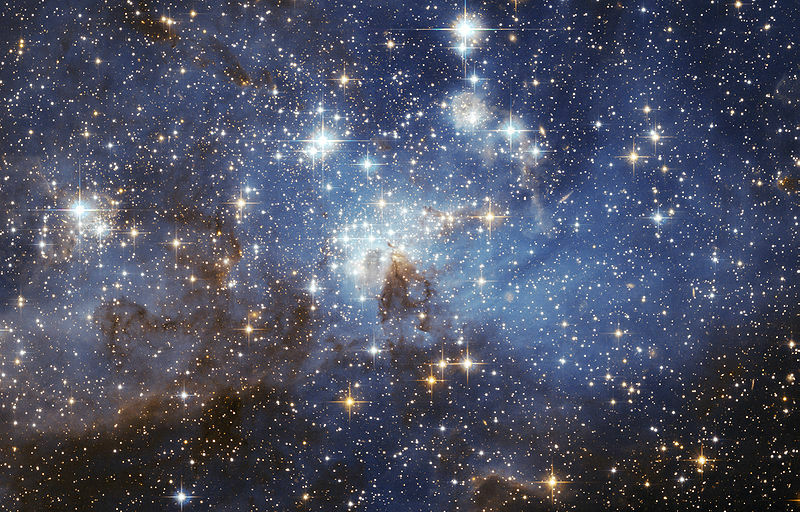 Theoretical astronomy is oriented towards the development of computer or analytical models to describe astronomical objects and phenomena. The two fields complement each other, with theoretical astronomy seeking to explain the observational results, and observations being used to confirm theoretical results. Amateur astronomers have contributed to many important astronomical discoveries, and astronomy is one of the few sciences where amateurs can still play an active role, especially in the discovery and observation of transient phenomena. Astronomy is not to be confused with astrology, the belief system which claims that human affairs are correlated with the positions of celestial objects. Although the two fields share a common origin they are now entirely distinct. The word astronomy (from the Greek words astron (ἄστρον), "star" and -nomy from nomos (νόμος), "law" or "culture") literally means "law of the stars" (or "culture of the stars" depending on the translation). Use of terms "astronomy" and "astrophysics" Generally, either the term "astronomy" or "astrophysics" may be used to refer to this subject. 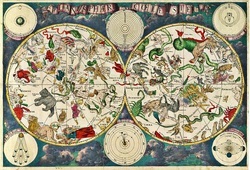 Based on strict dictionary definitions, "astronomy" refers to "the study of objects and matter outside the Earth's atmosphere and of their physical and chemical properties" and "astrophysics" refers to the branch of astronomy dealing with "the behavior, physical properties, and dynamic processes of celestial objects and phenomena". In some cases, as in the introduction of the introductory textbook The Physical Universe by Frank Shu, "astronomy" may be used to describe the qualitative study of the subject, whereas "astrophysics" is used to describe the physics-oriented version of the subject.However, since most modern astronomical research deals with subjects related to physics, modern astronomy could actually be called astrophysics. Few fields, such as astrometry, are purely astronomy rather than also astrophysics. Various departments in which scientists carry out research on this subject may use "astronomy" and "astrophysics," partly depending on whether the department is historically affiliated with a physics department, and many professional astronomers have physics rather than astronomy degrees. One of the leading scientific journals in the field is the European journal named Astronomy and Astrophysics. The leading American journals are The Astrophysical Journal and The Astronomical Journal. In early times, astronomy only comprised the observation and predictions of the motions of objects visible to the naked eye. In some locations, such as Stonehenge, early cultures assembled massive artifacts that likely had some astronomical purpose. 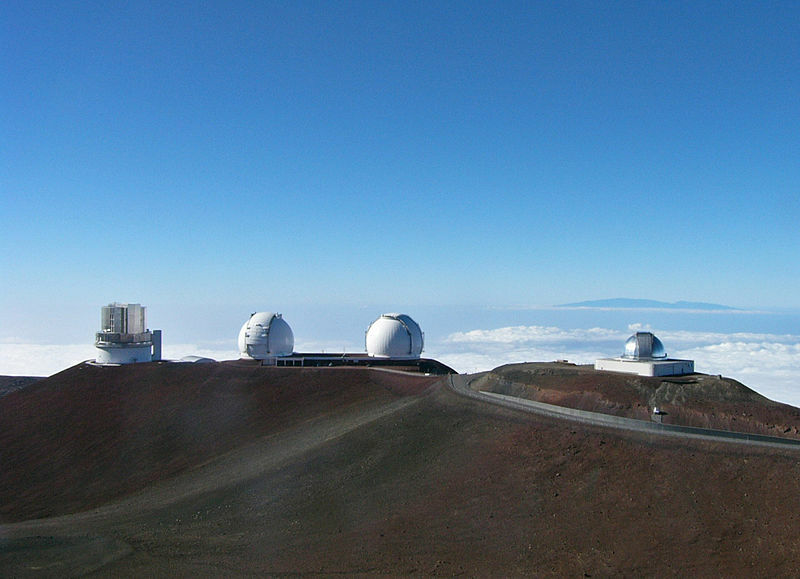 In addition to their ceremonial uses, these observatories could be employed to determine the seasons, an important factor in knowing when to plant crops, as well as in understanding the length of the year. Before tools such as the telescope were invented, early study of the stars had to be conducted from the only vantage points available, namely tall buildings and high ground using the naked eye. As civilizations developed, most notably in Mesopotamia, China, Egypt, Greece, India, and Central America, astronomical observatories were assembled, and ideas on the nature of the universe began to be explored. 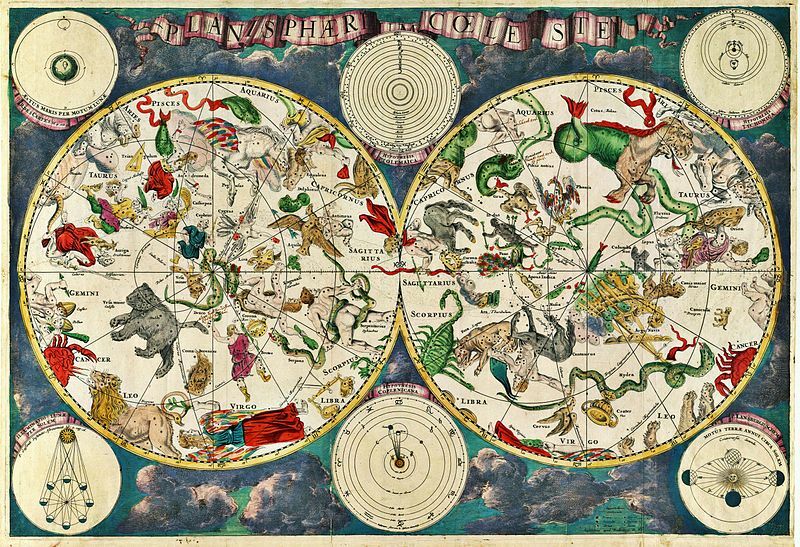 Most of early astronomy actually consisted of mapping the positions of the stars and planets, a science now referred to as astrometry. 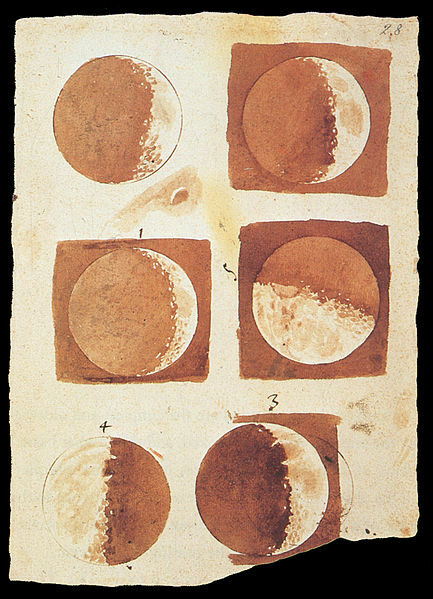 From these observations, early ideas about the motions of the planets were formed, and the nature of the Sun, Moon and the Earth in the universe were explored philosophically. The Earth was believed to be the center of the universe with the Sun, the Moon and the stars rotating around it. This is known as the geocentric model of the universe, or the Ptolemaic system, named after Ptolemy. A particularly important early development was the beginning of mathematical and scientific astronomy, which began among the Babylonians, who laid the foundations for the later astronomical traditions that developed in many other civilizations.The Babylonians discovered that lunar eclipses recurred in a repeating cycle known as a saros. Greek equatorial sun dial, Alexandria on the Oxus, present-day Afghanistan 3rd–2nd century BCE. Following the Babylonians, significant advances in astronomy were made in ancient Greece and the Hellenistic world. Greek astronomy is characterized from the start by seeking a rational, physical explanation for celestial phenomena. In the 3rd century BC, Aristarchus of Samos calculated the size of the Earth, and measured the size and distance of the Moon and Sun, and was the first to propose a heliocentric model of the solar system. In the 2nd century BC, Hipparchus discovered precession, calculated the size and distance of the Moon and invented the earliest known astronomical devices such as the astrolabe. Hipparchus also created a comprehensive catalog of 1020 stars, and most of the constellations of the northern hemisphere derive from Greek astronomy.The Antikythera mechanism (c. 150–80 BC) was an early analog computer designed to calculate the location of the Sun, Moon, and planets for a given date. Technological artifacts of similar complexity did not reappear until the 14th century, when mechanical astronomical clocks appeared in Europe. During the Renaissance, Nicolaus Copernicus proposed a heliocentric model of the solar system. His work was defended, expanded upon, and corrected by Galileo Galilei and Johannes Kepler. Galileo innovated by using telescopes to enhance his observations. 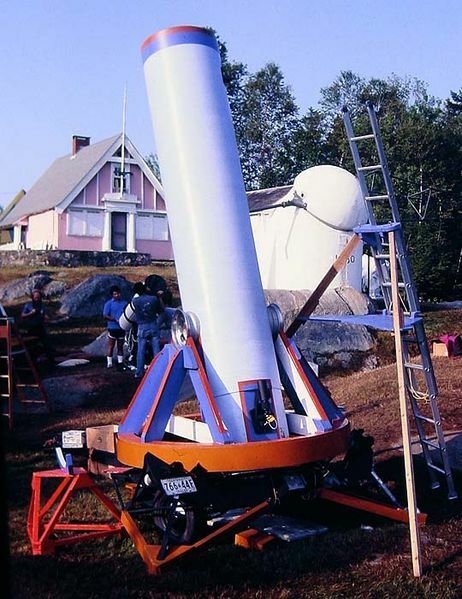 Further discoveries paralleled the improvements in the size and quality of the telescope. More extensive star catalogues were produced by Lacaille. The astronomer William Herschel made a detailed catalog of nebulosity and clusters, and in 1781 discovered the planet Uranus, the first new planet found. The distance to a star was first announced in 1838 when the parallax of 61 Cygni was measured by Friedrich Bessel. During the 18–19th centuries, attention to the three body problem by Euler, Clairaut, and D'Alembert led to more accurate predictions about the motions of the Moon and planets. This work was further refined by Lagrange and Laplace, allowing the masses of the planets and moons to be estimated from their perturbations. The existence of the Earth's galaxy, the Milky Way, as a separate group of stars, was only proved in the 20th century, along with the existence of "external" galaxies, and soon after, the expansion of the Universe, seen in the recession of most galaxies from us. Modern astronomy has also discovered many exotic objects such as quasars, pulsars, blazars, and radio galaxies, and has used these observations to develop physical theories which describe some of these objects in terms of equally exotic objects such as black holes and neutron stars. Physical cosmology made huge advances during the 20th century, with the model of the Big Bang heavily supported by the evidence provided by astronomy and physics, such as the cosmic microwave background radiation, Hubble's law, and cosmological abundances of elements. Space telescopes have enabled measurements in parts of the electromagnetic spectrum normally blocked or blurred by the atmosphere. In astronomy, the main source of information about celestial bodies and other objects is the visible light or more generally electromagnetic radiation. Observational astronomy may be divided according to the observed region of the electromagnetic spectrum. Some parts of the spectrum can be observed from the Earth's surface, while other parts are only observable from either high altitudes or space. Specific information on these subfields is given below. Radio astronomy studies radiation with wavelengths greater than approximately one millimeter.Radio astronomy is different from most other forms of observational astronomy in that the observed radio waves can be treated as waves rather than as discrete photons. Hence, it is relatively easier to measure both the amplitude and phase of radio waves, whereas this is not as easily done at shorter wavelengths. Although some radio waves are produced by astronomical objects in the form of thermal emission, most of the radio emission that is observed from Earth is seen in the form of synchrotron radiation, which is produced when electrons oscillate around magnetic fields. Additionally, a number of spectral lines produced by interstellar gas, notably the hydrogen spectral line at 21 cm, are observable at radio wavelengths. A wide variety of objects are observable at radio wavelengths, including supernovae, interstellar gas, pulsars, and active galactic nuclei. Infrared astronomy deals with the detection and analysis of infrared radiation (wavelengths longer than red light). Except at wavelengths close to visible light, infrared radiation is heavily absorbed by the atmosphere, and the atmosphere produces significant infrared emission. Consequently, infrared observatories have to be located in high, dry places or in space. The infrared spectrum is useful for studying objects that are too cold to radiate visible light, such as planets and circumstellar disks. Longer infrared wavelengths can also penetrate clouds of dust that block visible light, allowing observation of young stars in molecular clouds and the cores of galaxies. Some molecules radiate strongly in the infrared. This can be used to study chemistry in space; more specifically it can detect water in comets. Historically, optical astronomy, also called visible light astronomy, is the oldest form of astronomy. Optical images were originally drawn by hand. In the late 19th century and most of the 20th century, images were made using photographic equipment. Modern images are made using digital detectors, particularly detectors using charge-coupled devices (CCDs). Although visible light itself extends from approximately 4000 Å to 7000 Å (400 nm to 700 nm), the same equipment used at these wavelengths is also used to observe some near-ultraviolet and near-infrared radiation. Ultraviolet astronomy is generally used to refer to observations at ultraviolet wavelengths between approximately 100 and 3200 Å (10 to 320 nm). Light at these wavelengths is absorbed by the Earth's atmosphere, so observations at these wavelengths must be performed from the upper atmosphere or from space. Ultraviolet astronomy is best suited to the study of thermal radiation and spectral emission lines from hot blue stars (OB stars) that are very bright in this wave band. This includes the blue stars in other galaxies, which have been the targets of several ultraviolet surveys. Other objects commonly observed in ultraviolet light include planetary nebulae, supernova remnants, and active galactic nuclei. However, as ultraviolet light is easily absorbed by interstellar dust, an appropriate adjustment of ultraviolet measurements is necessary. X-ray astronomy is the study of astronomical objects at X-ray wavelengths. Typically, objects emit X-ray radiation as synchrotron emission (produced by electrons oscillating around magnetic field lines), thermal emission from thin gases above 107 (10 million) kelvins, and thermal emission from thick gases above 107 Kelvin. Since X-rays are absorbed by the Earth's atmosphere, all X-ray observations must be performed from high-altitude balloons, rockets, or spacecraft. Notable X-ray sources include X-ray binaries, pulsars, supernova remnants, elliptical galaxies, clusters of galaxies, and active galactic nuclei. According to NASA's official website, X-rays were first observed and documented in 1895 by Wilhelm Conrad Röntgen, a German scientist who found them quite by accident when experimenting with vacuum tubes. Through a series of experiments, including the infamous X-ray photograph he took of his wife's hand with a wedding ring on it, Röntgen was able to discover the beginning elements of radiation. The "X", in fact, holds its own significance, as it represents Röntgen's inability to identify exactly what type of radiation it was. 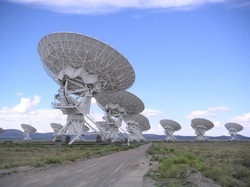 Gamma ray astronomy is the study of astronomical objects at the shortest wavelengths of the electromagnetic spectrum. Gamma rays may be observed directly by satellites such as the Compton Gamma Ray Observatory or by specialized telescopes called atmospheric Cherenkov telescopes. The Cherenkov telescopes do not actually detect the gamma rays directly but instead detect the flashes of visible light produced when gamma rays are absorbed by the Earth's atmosphere. In neutrino astronomy, astronomers use special underground facilities such as SAGE, GALLEX, and Kamioka II/III for detecting neutrinos. These neutrinos originate primarily from the Sun but also from supernovae. Cosmic rays, which consist of very high energy particles that can decay or be absorbed when they enter the Earth's atmosphere, result in a cascade of particles which can be detected by current observatories. Additionally, some future neutrino detectors may also be sensitive to the particles produced when cosmic rays hit the Earth's atmosphere. Gravitational wave astronomy is an emerging new field of astronomy which aims to use gravitational wave detectors to collect observational data about compact objects. A few observatories have been constructed, such as the Laser Interferometer Gravitational Observatory LIGO, but gravitational waves are extremely difficult to detect. Planetary astronomers have directly observed many of these phenomena through spacecraft and sample return missions. These observations include fly-by missions with remote sensors, landing vehicles that can perform experiments on the surface materials, impactors that allow remote sensing of buried material, and sample return missions that allow direct laboratory examination. One of the oldest fields in astronomy, and in all of science, is the measurement of the positions of celestial objects. Historically, accurate knowledge of the positions of the Sun, Moon, planets and stars has been essential in celestial navigation and in the making of calendars. Careful measurement of the positions of the planets has led to a solid understanding of gravitational perturbations, and an ability to determine past and future positions of the planets with great accuracy, a field known as celestial mechanics. More recently the tracking of near-Earth objects will allow for predictions of close encounters, and potential collisions, with the Earth. The measurement of stellar parallax of nearby stars provides a fundamental baseline in the cosmic distance ladder that is used to measure the scale of the universe. Parallax measurements of nearby stars provide an absolute baseline for the properties of more distant stars, because their properties can be compared. Measurements of radial velocity and proper motion show the kinematics of these systems through the Milky Way galaxy. 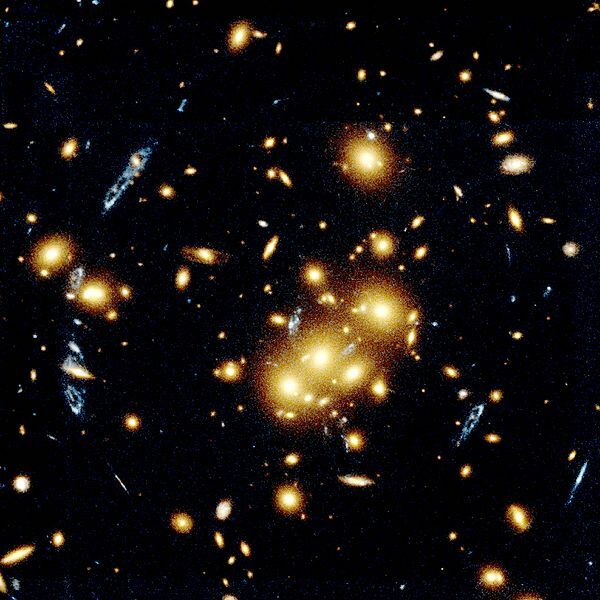 Astrometric results are also used to measure the distribution of dark matter in the galaxy. During the 1990s, the astrometric technique of measuring the stellar wobble was used to detect large extrasolar planets orbiting nearby stars. At a distance of about eight light-minutes, the most frequently studied star is the Sun, a typical main-sequence dwarf star of stellar class G2 V, and about 4.6 Gyr in age. The Sun is not considered a variable star, but it does undergo periodic changes in activity known as the sunspot cycle. This is an 11-year fluctuation in sunspot numbers. Sunspots are regions of lower-than- average temperatures that are associated with intense magnetic activity. The Sun has steadily increased in luminosity over the course of its life, increasing by 40% since it first became a main-sequence star. The Sun has also undergone periodic changes in luminosity that can have a significant impact on the Earth. The Maunder minimum, for example, is believed to have caused the Little Ice Age phenomenon during the Middle Ages. The visible outer surface of the Sun is called the photosphere. Above this layer is a thin region known as the chromosphere. This is surrounded by a transition region of rapidly increasing temperatures, then by the super-heated corona. 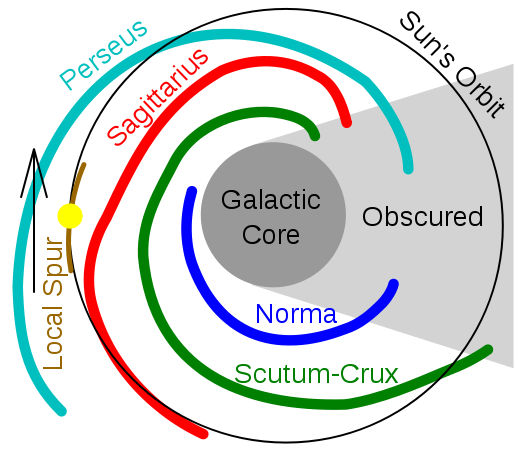 At the center of the Sun is the core region, a volume of sufficient temperature and pressure for nuclear fusion to occur. Above the core is the radiation zone, where the plasma conveys the energy flux by means of radiation. The outer layers form a convection zone where the gas material transports energy primarily through physical displacement of the gas. 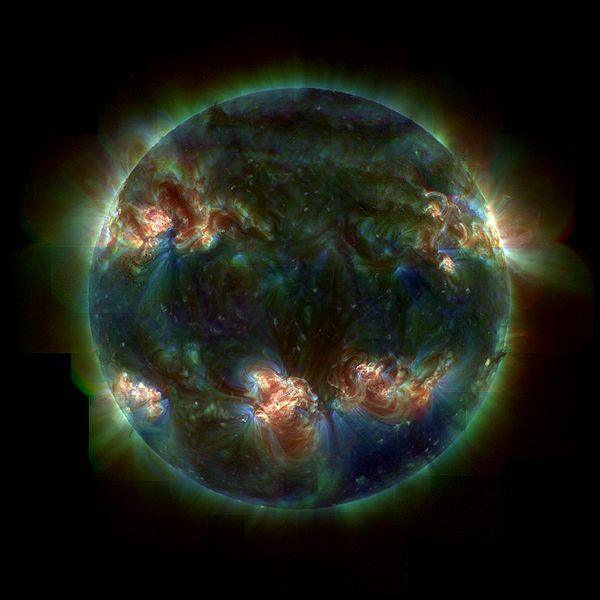 It is believed that this convection zone creates the magnetic activity that generates sun spots. A solar wind of plasma particles constantly streams outward from the Sun until it reaches the heliopause. This solar wind interacts with the magnetosphere of the Earth to create the Van Allen radiation belts, as well as the aurora where the lines of the Earth's magnetic field descend into the atmosphere. This astronomical field examines the assemblage of planets, moons, dwarf planets, comets, asteroids, and other bodies orbiting the Sun, as well as extrasolar planets. The solar system has been relatively well-studied, initially through telescopes and then later by spacecraft. This has provided a good overall understanding of the formation and evolution of this planetary system, although many new discoveries are still being made. 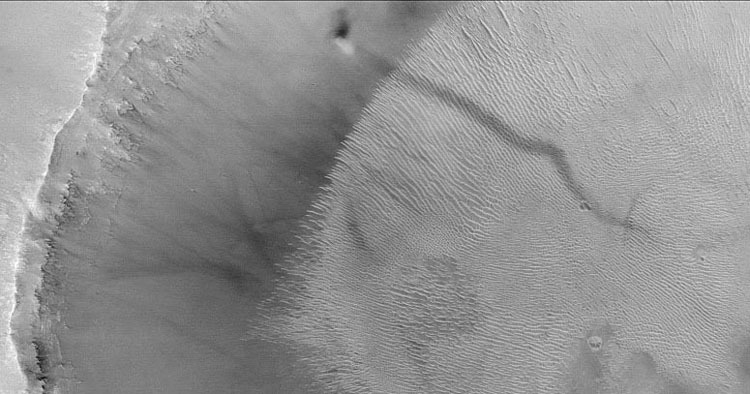 The black spot at the top is a dust devil climbing a crater wall on Mars. This moving, swirling column of Martian atmosphere (comparable to a terrestrial tornado) created the long, dark streak. NASA image. The solar system is subdivided into the inner planets, the asteroid belt, and the outer planets. The inner terrestrial planets consist of Mercury, Venus, Earth, and Mars. The outer gas giant planets are Jupiter, Saturn, Uranus, and Neptune. Beyond Neptune lies the Kuiper Belt, and finally the Oort Cloud, which may extend as far as a light-year. The planets were formed in the protoplanetary disk that surrounded the early Sun. Through a process that included gravitational attraction, collision, and accretion, the disk formed clumps of matter that, with time, became protoplanets. The radiation pressure of the solar wind then expelled most of the unaccreted matter, and only those planets with sufficient mass retained their gaseous atmosphere. The planets continued to sweep up, or eject, the remaining matter during a period of intense bombardment, evidenced by the many impact craters on the Moon. During this period, some of the protoplanets may have collided, the leading hypothesis for how the Moon was formed. Once a planet reaches sufficient mass, the materials with different densities segregate within, during planetary differentiation. This process can form a stony or metallic core, surrounded by a mantle and an outer surface. The core may include solid and liquid regions, and some planetary cores generate their own magnetic field, which can protect their atmospheres from solar wind stripping. A planet or moon's interior heat is produced from the collisions that created the body, radioactive materials (e.g. uranium, thorium, and 26Al), or tidal heating. Some planets and moons accumulate enough heat to drive geologic processes such as volcanism and tectonics. Those that accumulate or retain an atmosphere can also undergo surface erosion from wind or water. Smaller bodies, without tidal heating, cool more quickly; and their geological activity ceases with the exception of impact cratering. The study of stars and stellar evolution is fundamental to our understanding of the universe. 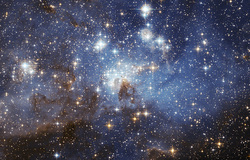 The astrophysics of stars has been determined through observation and theoretical understanding; and from computer simulations of the interior. Star formation occurs in dense regions of dust and gas, known as giant molecular clouds. When destabilized, cloud fragments can collapse under the influence of gravity, to form a protostar. A sufficiently dense, and hot, core region will trigger nuclear fusion, thus creating a main-sequence star. The characteristics of the resulting star depend primarily upon its starting mass. The more massive the star, the greater its luminosity, and the more rapidly it expends the hydrogen fuel in its core. Over time, this hydrogen fuel is completely converted into helium, and the star begins to evolve. The fusion of helium requires a higher core temperature, so that the star both expands in size, and increases in core density. The resulting red giant enjoys a brief life span, before the helium fuel is in turn consumed. Very massive stars can also undergo a series of decreasing evolutionary phases, as they fuse increasingly heavier elements. The final fate of the star depends on its mass, with stars of mass greater than about eight times the Sun becoming core collapse supernovae; while smaller stars form planetary nebulae, and evolve into white dwarfs. The remnant of a supernova is a dense neutron star, or, if the stellar mass was at least three times that of the Sun, a black hole. Close binary stars can follow more complex evolutionary paths, such as mass transfer onto a white dwarf companion that can potentially cause a supernova. 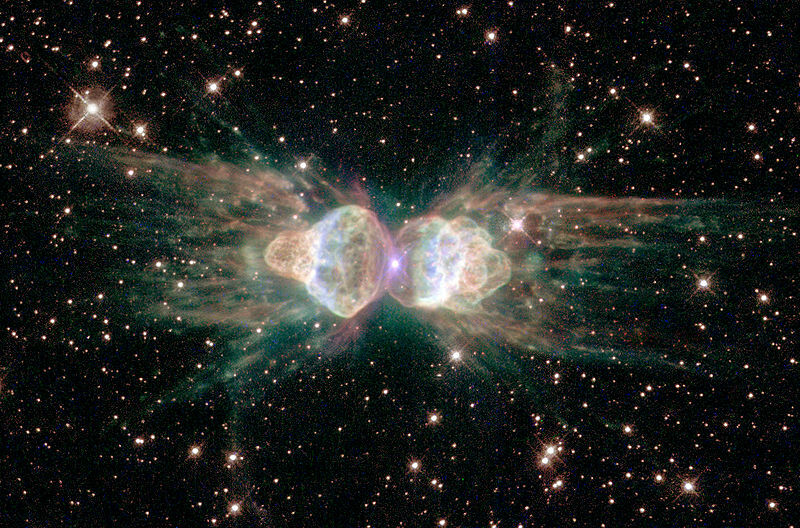 Planetary nebulae and supernovae are necessary for the distribution of metals to the interstellar medium; without them, all new stars (and their planetary systems) would be formed from hydrogen and helium alone. Our solar system orbits within the Milky Way, a barred spiral galaxy that is a prominent member of the Local Group of galaxies. It is a rotating mass of gas, dust, stars and other objects, held together by mutual gravitational attraction. As the Earth is located within the dusty outer arms, there are large portions of the Milky Way that are obscured from view. In the center of the Milky Way is the core, a bar-shaped bulge with what is believed to be a supermassive black hole at the center. This is surrounded by four primary arms that spiral from the core. This is a region of active star formation that contains many younger, population I stars. The disk is surrounded by a spheroid halo of older, population II stars, as well as relatively dense concentrations of stars known as globular clusters. As the more massive stars appear, they transform the cloud into an H II region of glowing gas and plasma. The stellar wind and supernova explosions from these stars eventually serve to disperse the cloud, often leaving behind one or more young open clusters of stars. These clusters gradually disperse, and the stars join the population of the Milky Way. The study of objects outside our galaxy is a branch of astronomy concerned with the formation and evolution of Galaxies; their morphology and classification; and the examination of active galaxies, and the groups and clusters of galaxies. The latter is important for the understanding of the large-scale structure of the cosmos. As the name suggests, an elliptical galaxy has the cross-sectional shape of an ellipse. The stars move along random orbits with no preferred direction. These galaxies contain little or no interstellar dust; few star-forming regions; and generally older stars. Elliptical galaxies are more commonly found at the core of galactic clusters, and may be formed through mergers of large galaxies. A spiral galaxy is organized into a flat, rotating disk, usually with a prominent bulge or bar at the center, and trailing bright arms that spiral outward. The arms are dusty regions of star formation where massive young stars produce a blue tint. Spiral galaxies are typically surrounded by a halo of older stars. Both the Milky Way and the Andromeda Galaxy are spiral galaxies. An active galaxy is a formation that is emitting a significant amount of its energy from a source other than stars, dust and gas; and is powered by a compact region at the core, usually thought to be a super-massive black hole that is emitting radiation from in-falling material. A radio galaxy is an active galaxy that is very luminous in the radio portion of the spectrum, and is emitting immense plumes or lobes of gas. Active galaxies that emit high-energy radiation include Seyfert galaxies, Quasars, and Blazars. Quasars are believed to be the most consistently luminous objects in the known universe. The large-scale structure of the cosmos is represented by groups and clusters of galaxies. This structure is organized in a hierarchy of groupings, with the largest being the superclusters. The collective matter is formed into filaments and walls, leaving large voids in between. 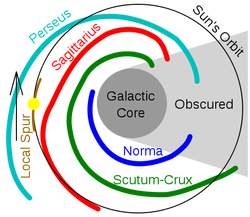 Cosmology (from the Greek κόσμος "world, universe" and λόγος "word, study") could be considered the study of the universe as a whole. Observations of the large-scale structure of the universe, a branch known as physical cosmology, have provided a deep understanding of the formation and evolution of the cosmos. Fundamental to modern cosmology is the well-accepted theory of the big bang, wherein our universe began at a single point in time, and thereafter expanded over the course of 13.7 Gyr to its present condition. The concept of the big bang can be traced back to the discovery of the microwave background radiation in 1965. A hierarchical structure of matter began to form from minute variations in the mass density. Matter accumulated in the densest regions, forming clouds of gas and the earliest stars. These massive stars triggered the reionization process and are believed to have created many of the heavy elements in the early universe, which, through nuclear decay, create lighter elements, allowing the cycle of nucleosynthesis to continue longer. Collectively, amateur astronomers observe a variety of celestial objects and phenomena sometimes with equipment that they build themselves. Common targets of amateur astronomers include the Moon, planets, stars, comets, meteor showers, and a variety of deep-sky objects such as star clusters, galaxies, and nebulae. One branch of amateur astronomy, amateur astrophotography, involves the taking of photos of the night sky. Many amateurs like to specialize in the observation of particular objects, types of objects, or types of events which interest them. Amateur astronomers continue to make scientific contributions to the field of astronomy. Indeed, it is one of the few scientific disciplines where amateurs can still make significant contributions. Amateurs can make occultation measurements that are used to refine the orbits of minor planets. They can also discover comets, and perform regular observations of variable stars. 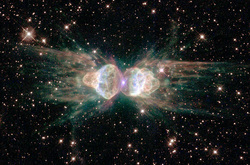 Improvements in digital technology have allowed amateurs to make impressive advances in the field of astrophotography. What caused the Universe to form? Is the premise of the Fine-tuned universe hypothesis correct? If so, could this be the result of cosmological natural selection? What caused the cosmic inflation that produced our homogeneous universe? Why is there a baryon asymmetry?